We aim to make Avada convenient and available to as much users as we can, which is why Avada is RTL (Right to Left) ready. Avada contains all the necessary styles you'll need to make your website RTL, and it's as easy as 3 steps to set up! Once you finish these steps, your site will automatically be in RTL format. In addition, for testing you can also use a language plugin like RTL Tester. To download RTL Tester, follow this link. 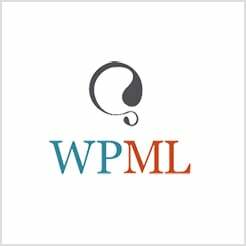 IMPORTANT NOTE: These steps are only required if you are not using WPML. If you have WPML installed, then you can skip these steps. Step 1 - Install an RTL version of WordPress, such as the Arabic or Hebrew version. Step 2 - Have the proper Language files installed in the languages directory, which you can locate by following this path: wp-content > themes > avada > languages. Step 3 - Specify the language you'd like to use in the wp-config.php file.